Many utilities and energy-efficiency service providers offer rebates to pool owners who purchase energy-efficient pool equipment such as Hayward’s ENERGY STAR certified variable-speed pumps. These utility rebates can help consumers save significant money on their pool pump purchase and usage. Energy-efficient pool equipment, such as the TriStar VS, may even pay for itself in as little as a single season, after rebate savings and reduced energy usage. Utility rebates are big news for consumers. 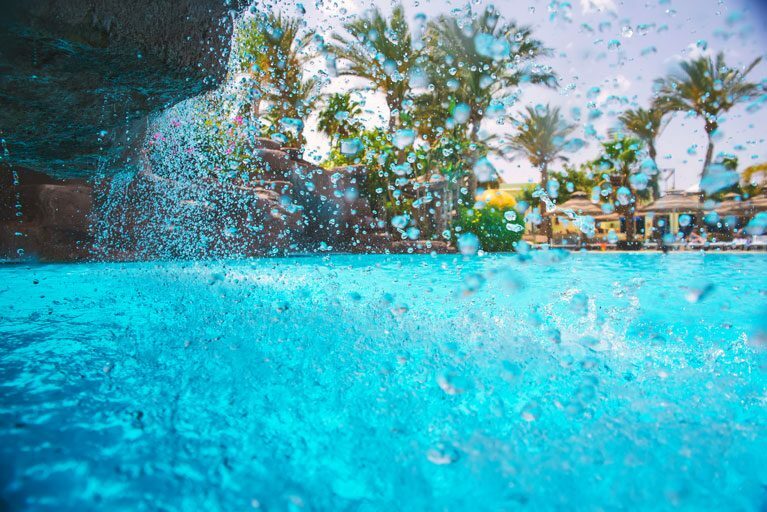 Because of the energy savings gained from ENERGY STAR certified pool pumps, many local utility companies offer pool pump rebates to pool owners. Many offer hundreds of dollars in incentives for consumers to purchase ENERGY STAR certified pool pumps, such as Hayward’s ENERGY STAR certified variable speed pumps. Standard pool pumps run at one speed, wasting energy during some operations because they run faster and longer than necessary. 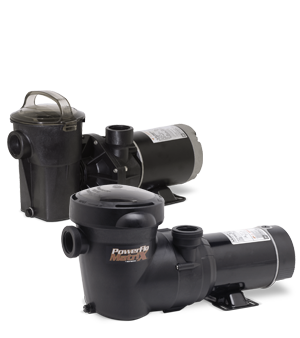 ENERGY STAR pool pumps match a pool’s needs, running at the minimum speed and time needed to effectively clean the pool. New energy-efficient pumps are also designed to circulate the water more efficiently to keep it clean. For these reasons, ENERGY STAR pumps save considerable energy – this is why utility companies offer rebates to encourage consumers to switch to ENERGY STAR certified variable-speed pumps. When you replace your older single-speed pool pump with an ENERGY STAR certified variable-speed pump, you’ll lower your associated costs by up to 90%, which can translate to hundreds or even thousands of dollars every year. In fact, energy-efficient variable-speed pumps reduce power consumption and pay for themselves in as little as a single season. They also run cooler and quieter than standard pool pumps. Want to see how much you can save? Check out our Energy Calculator. Take full advantage of the utility rebates offered in your location – check with your local utility for more details or go to the Energy Star Rebate Finder for more information. 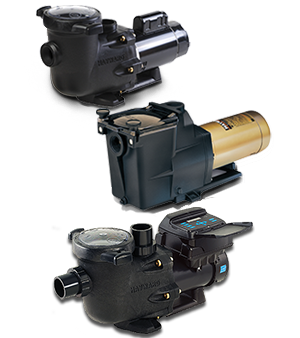 Hayward offers the most efficient and broadest lineup of variable speed pumps in the industry. Don’t just take our word for it – published data from the EPA’s ENERGY STAR® program prove that Hayward has the most efficient pumps in the industry. 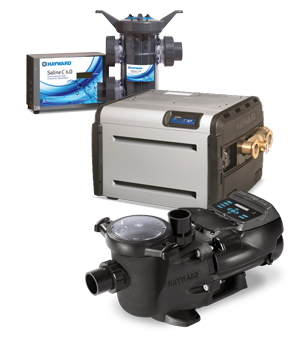 Regardless of what type of pool or spa you have, Hayward has the variable speed pump that matches your needs. Hayward’s wide selection means you get the pump you need, often without wasting money on larger, more expensive models. Multiply your savings by accessing Hayward’s own generous rebate program on our innovative products. We make it easier than ever for pool owners to afford new, energy-efficient pool equipment. Check our Rebate Center to see current offerings, including rebates on variable-speed pumps installed by a pool professional. In addition to the big money saved through utility rebates, our Hayward rebates can save you as much as $100 on a professionally installed, energy-efficient variable-speed pool pump. Get savings directly from Hayward on many products when purchased from a Hayward Authorized Dealer. Note: Read the utility and manufacturer rebate forms carefully to be sure your rebate requests fall within the guidelines of each individual promotion. You will gain the greatest cost savings by installing an energy-efficient pool pump. By adopting smart energy-efficiency practices, you can reduce your pool’s operating costs even further. Save money on water and chemicals. Covering your pool when not in use is the single most effective way to reduce pool heating costs. A pool cover will help maintain preferred temperatures and will reduce water loss through evaporation. Pool covers also allow for a reduction in the use of chemicals. Some utilities offer a credit on your bill if you install a pool cover that acts as an effective barrier to evaporation. You can also save money by planting shrubs and installing fencing – they can shelter your pool from wind, which causes evaporation. Save money with energy-efficient equipment. Consider upgrading to advanced pool equipment such as digital automation systems, filters, heaters, and LED lighting to save energy and money. Save money with automatic timers. Install automatic timers for your pool heater and pump – they will limit operations to the time you actually need to use them. Save money by reducing the temperature of your pool water. The energy consumption for each degree rise in temperature costs 10-30% more in energy costs. Read our blog post Top 10 Ways To Go Green for more ideas on saving energy, water, and money. Utility rebates are available to help consumers save energy and significant money on their pool equipment purchase. Additional manufacturer rebates multiply the savings. Many pool owners find that energy-efficient pool equipment pays for itself, after rebate savings and lower utility bills. Visit Hayward.com/UtilityRebates to find an available listing of rebates near you. Contact your local Hayward Dealer to learn more today!